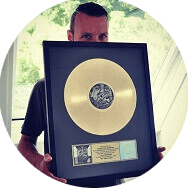 Buy pop beats and pop instrumentals by multi platinum instrumental music producer Freek van Workum. Adele Type Piano Pop Type Beat "Wanderer"
"Wanderer" is an emotionally strong pop piano ballad in the style of Adele or Sia. If you are a good singer you can make a hit with this pop piano type instrumental. More of this is coming sooner than you think! Tory Lanez x Rihanna type afro pop beat "IAM"
"IAM" is an afro pop beat instrumental with a positive summer-ish vibe to it. Tory Lanez sounds great on pop tracks like this. However, artists like Rihanna or Drake may sound even better on it. The Weeknd Type Pop Instrumental "HowL"
"Howl" is an epic pop beat instrumental in the style of The Weeknd. This Weeknd pop beat is filled with 80s & retro influences. From the digital sounding drums to the synthesizers. This pop instrumental has the potential to be a huge record! Freek van Workum is a popular music writer/producer from The Netherlands. Freek (co-) produced several gold and platinum selling pop songs. For example, Tech N9ne's "Hood Go Crazy", Kid Ink's "Money & The Power" and Wstrn "In2". In additional he also produced on exclusive pop beats for the gold & platinum certified albums by Kid Kink (My Own Lane) and Kalash (Mwaka Moon). However, the journey didn't start out with major label placements. Initially, Workum started to post rap and pop instrumentals for sale online on beat selling sites such as Soundclick as well as YOUTUBE. These outlets are still active and independent artists can find pop beats for sale there. The supply of pop type beats is large and wide. For instance, we offer Ty Dolla Sign, Adele, Miley Cyrus & Rihanna type pop instrumentals among others. Furthermore, updates to the pop beat instrumental catalog are made on weekly- if not daily basis. So if you want to lease beats or buy exclusive pop beat instrumentals make sure to bookmark this page and check back often! Lastly, you can check out Freek's latest release which is a song by Capital Bra called Darby. To date, it reached #23 in the German single chart whereas the album even reached the #1 spot. LET'S MAKE HITS!